For a limited time only, get a free Building and Design Planning Guide with the purchase of any plan. The Prescott is on sale for $19.99. 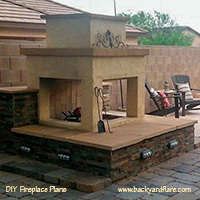 See the Fireplace & Grill Plans page for details. 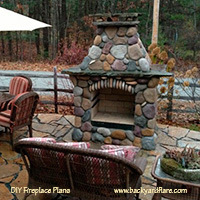 Do you love DIY projects? 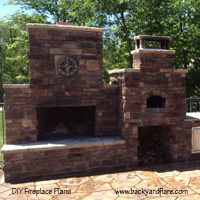 Want to build your own outdoor fireplace, fire pit, or kitchen? 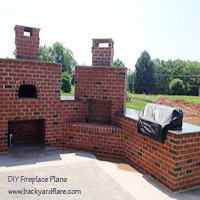 Build a masonry constructed fireplace or grill structure using our DIY construction plans, and save thousands. 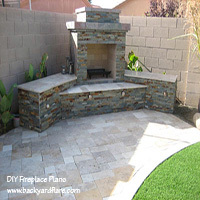 Even though there may be a bit of apprehension with building with masonry and cinderblock, it's not as difficult as it may appear. 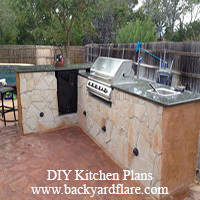 Backyard Flare's DIY construction plans are detailed and very comprehensive. With the turn of each page, you will be led row by row as you build your beautiful outdoor structure. Our plans include a list of materials and tools needed, large 3-dimensional CAD drawings for each row of building progression, helpful hints and reminders, and detailed - easy to follow - written instructions. Whether you choose one of our great standard plans or want a custom design for your space, we can help you. 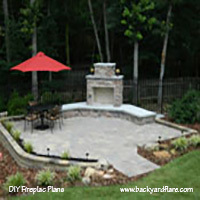 We can design a stunning structure for your outdoor space. Most of the designs in our gallery are available as well. 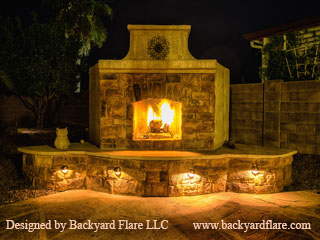 If you have any questions, email or call Dan at dan@backyardflare.com or (520) 269-9740. Dan will help you with suggestions and building ideas and he will reaffirm what you already know. 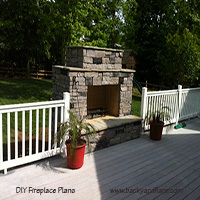 DIY projects are achievable by you. 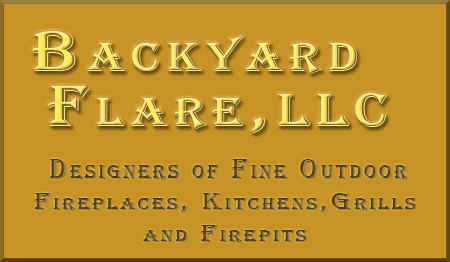 If you choose Backyard Flare, be confident in knowing that we will be available for you while you build, and that you will receive the most comprehensive DIY outdoor fireplace, grill, pizza oven or firepit construction plan on the market.